I want to run my commands securely. Are there anyway for this? Yes there are a lot of options. 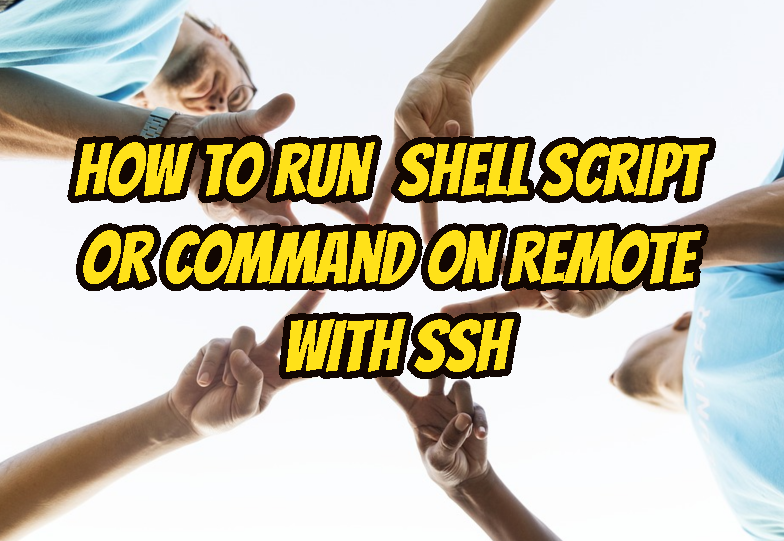 But the most simple and secure way is running scripts or commands over ssh. $ ssh ismail@192.168.142.144 "uname -a"
How To Login To Linux with Passwordless via SSH with Key Based Authentication? Bash shell provides some PATH to find provided command in the binaries. If we want to run a script we need to provide the whole path of this script and run on bash shell properly. In this example we will provide a script which is located at /home/ismail/backup.sh on remote IP address 192.168.142.144 . $ ssh ismail@192.168.142.144 "/bin/bash /home/ismail/backup.sh"
LEARN MORE How To Check, Show and Print Linux Version with Commands?